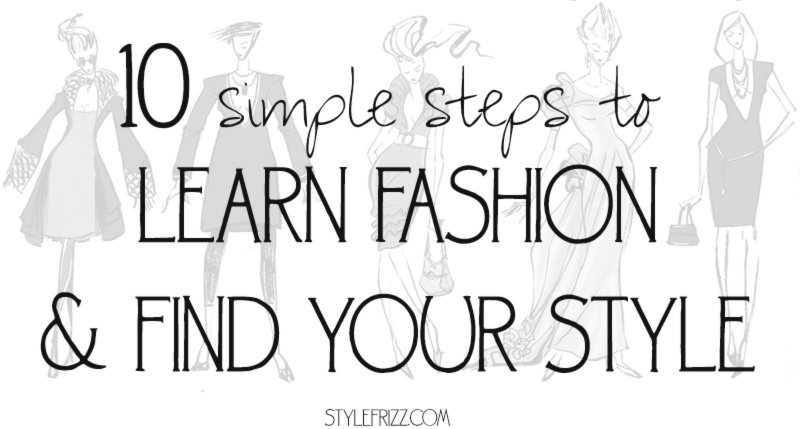 Learn Fashion In 10 Simple Steps! How hard can fashion be? People learn how to build and master space rockets every year or so and we can’t learn how to master the fashion of clothing we’re using every day of our lives? Reading these lines may prove to be an eye-opened for those who struggle with the ‘mysteries’ of fashion land and a confirmation for those who had their doubts all along! Being fashionable will never be easier and dressing up in the morning is going to look more and more like a playing dress-up when you were 5! 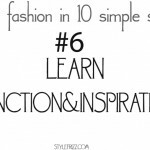 Do you know: What are the 10 style rules you should embrace right now? 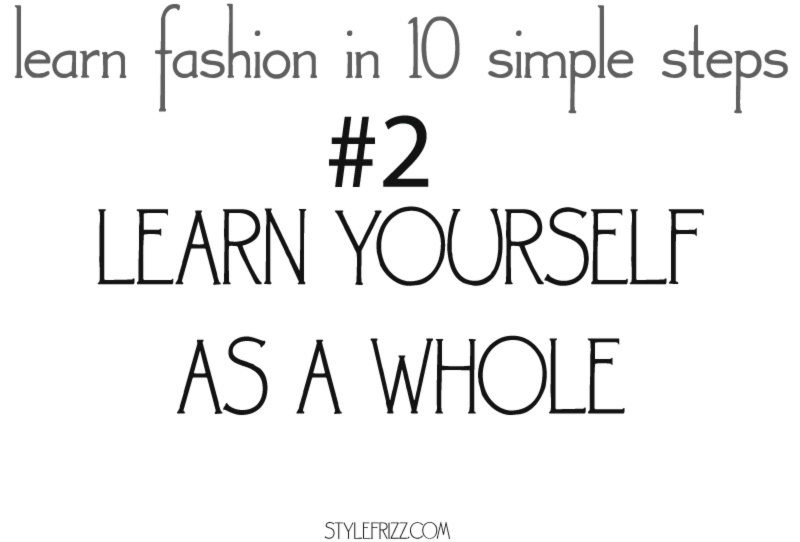 First things first: understanding fashion starts with the very basic notion defined by fashion which is ‘costume’. 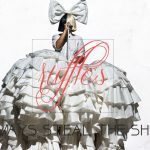 Fashion defines the essence of the costumes worn by people pertaining to a certain time, society, culture. Start by identifying those coordinates which apply in your case! 1. Learn the world you’re living in! Knowing the world around you has so many implications! From the cultural inheritance to the climate conditions, our surroundings condition us, thus the way we dress! Kimonos are fun garments to wear, but do we really understand and value their worth? Snow boots are fantastic for saving your feet from the blistering cold snow – would they be that good for long office hours? 2. Learn yourself as a whole! You are so much more than a size label! You are so much more than a heel height! 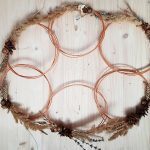 You are so much more than your office wear and your frizzy hair! You are UNIQUE! And everything about you defines that uniqueness, that special authentic smile no dress or stiletto will ever bring! Yes, you need to take into consideration your measurements, but they’re only a way to refine your search when going shopping! See also: The 5 nail polishes every girl should own! 3. Learn to free yourself! 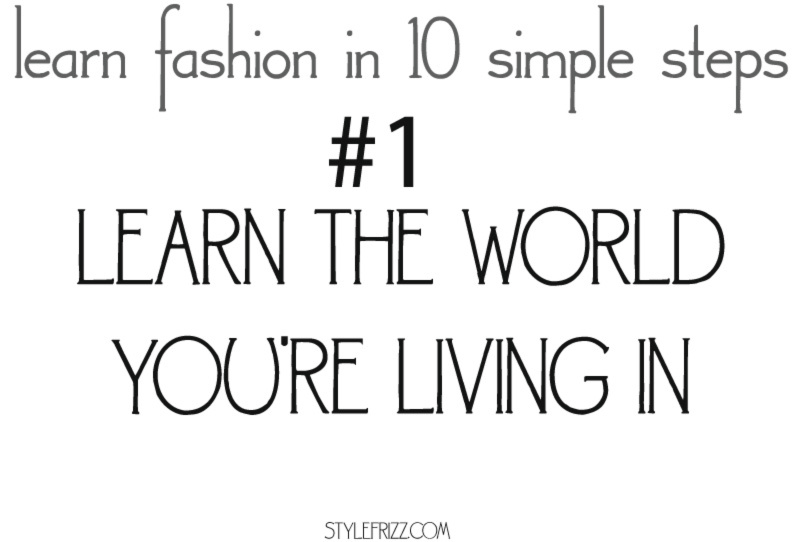 This is something you need to and it will impact on all aspects of your life, not just your wardrobe! Because, as you read earlier, you must consider yourself globally. The world doesn’t end on a scale or on a menu plate! The world is filled with beauty, you just have to open your eyes – it’s there! Discover: 8 Fun ways to wear bows! Put yourself into the general perspective and not only you’ll feel that you belong and that you are connected with all that beauty, but also you’ll forget the scale, the office wear code and those pants you absolutely wanted to buy. Remember to stop and smell the roses. And if there aren’t any near, stop and look at the sky! Free yourself! 4. Learn comfort! 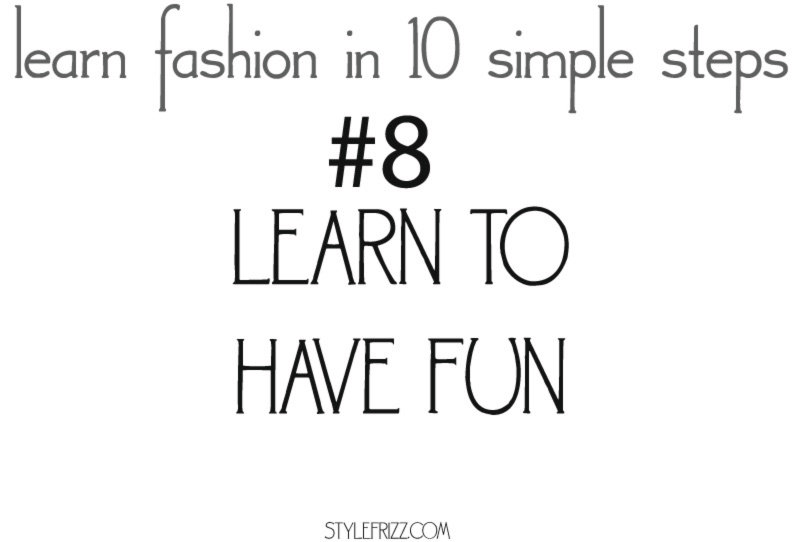 You might argue that all the above have little to do with fashion and more to do with living. And so it is. Fashion is a part of living. We may not be as gifted as Van Gogh was, but at least we’re not as troubled as he was and we can always learn to mimic the brush strokes of a genius to make a naïve painting! Thus, we may not be as fashion brilliant as Oscar de la Renta was (may he rest in peace!) but we can learn to put two and two garments together and pull a lovely look! Learn to: Replicate the Chanel Couture sandals you’ve seen on the catwalk! Comfort is essential in any outfit. Just like you treasure your trusted comfy lounge chair, you need comfortable clothes to treasure that feel-good moment you’re having when wearing them! Comfort comes from a lot of places – from the fabric of the garment to the cut and the occasion you’re wearing it. Learn and practice comfort! 5. 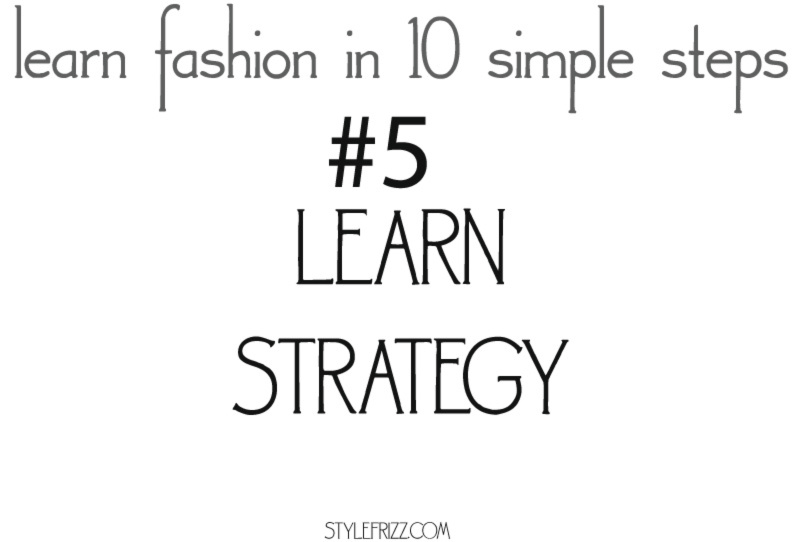 Learn strategy! Yes, the new collection from H&M is fantastic and the prices are so affordable for the most wanted trends of the season! But, always ask yourself this: should I buy the bright pink fringed vest I’ve seen on so many catwalks and is now on H&M’s racks – what would I wear it with? Would I be able to wear it next year when the new collections (trends) roll in? If the answer is no, let it be on H&M’s racks and not in your wardrobe! You don’t need more items in your wardrobe but the science to wear them right&good! 6. 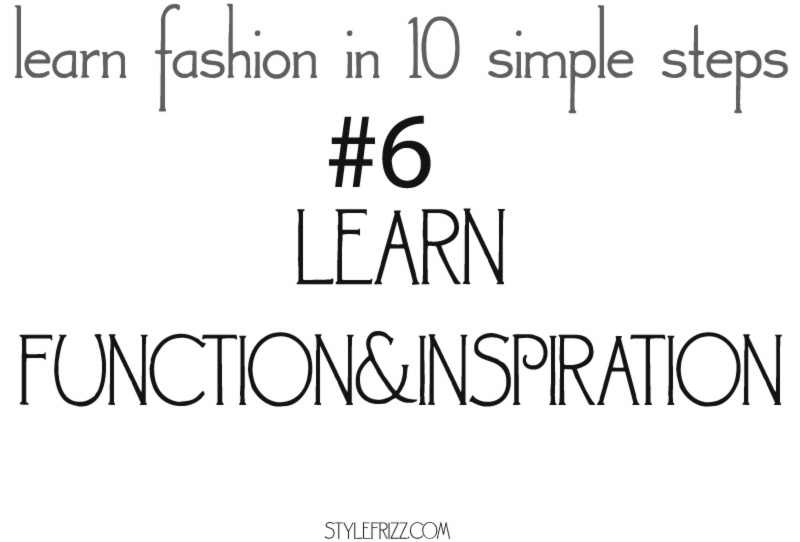 Learn function & inspiration! You have bought so many things over the years, yet you can’t seem to make much sense of them when trying to match this and that for a decent look! Years will show you that you too can combine items with effortless elegance but in order to jumpstart your matching ability, start collecting pictures with clothes you’d like to wear as worn by others! Organize those pictures in categories ‘work’ ‘play’ ‘party’ and go through them at least once a day! The images will burn on your retina and furthermore on your brain, making new connections for future wardrobe reference! 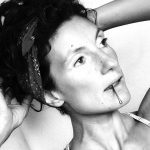 Discover: The new feminine beautiful tattoos! 7. 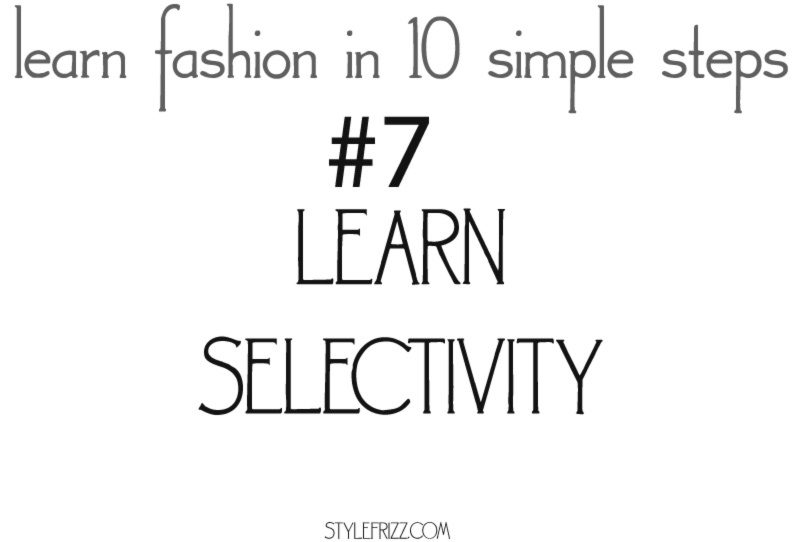 Learn selectivity! Although perfectly logical for catwalk presentations, some styles don’t translate good for general fashion use! Just like certain cuts look tailored for specific silhouettes while looking frumpy on others. 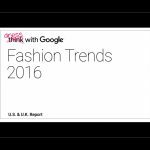 Sift through trends, finding your better match without feeling like you’re missing out! We’re so many people in the world, each with her or his own style personality! It’s ok to narrow down and stick to your own. 8. Learn to have fun! Remember when you were five and you were playing dress up? Kate Spade said that dress-up begins at five and never truly ends! We only get old when we stop playing! Don’t ever get old, keep playing! It’s ok to make mistakes! Find out: How to recognize the perfectly fitting pair of jeans for you! The best way to play dress-up is in a store! Plan dress-up sessions, not just shopping sessions! Try the clothes you think would look good on you (a really good, objective friend might help if you’d bring her/him over to judge your outfits). Don’t trust the shop personnel or the already-styled store mannequins! Trust your dress-up game and get better at it by practicing! 9. 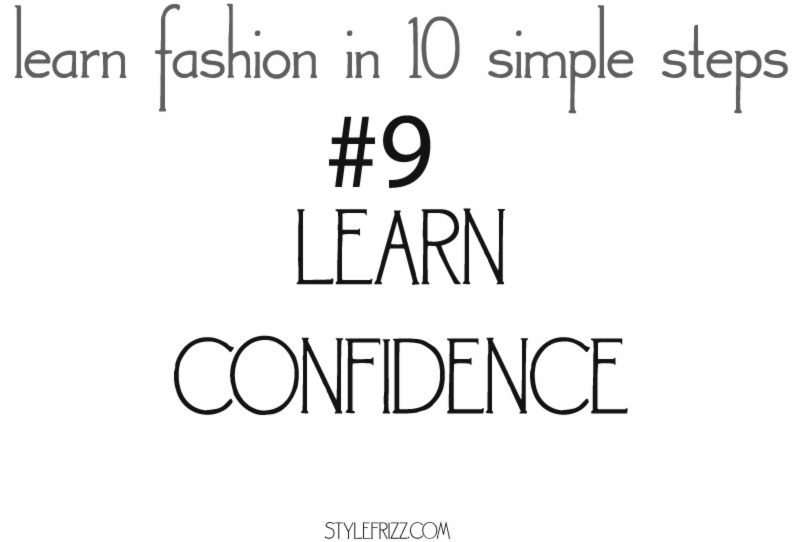 Learn confidence! Discovering, learning, playing, they all lead to confidence! Know your surroundings, know your routines, know what it is expected of you, know your body, know your wardrobe and have fun! It will only make you smile – and that’s something no makeup or outfit can replicate! Have you ever seen a mohair sweater smile? 10. 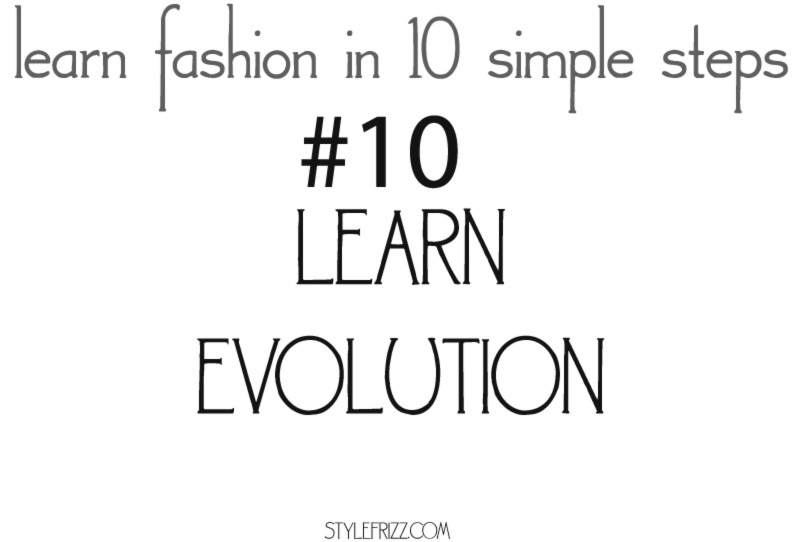 Learn evolution! 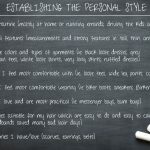 Allowing yourself to perfection the science of fashion into identifying and practicing your personal style is such a wonderful exercise! Now that you master (at least) the basics of this science, you can try your hand at improvising all in following what you learned so far! Remember what Tom Ford said: ‘Dressing well is a form of good manners’ – we’re not all born with good manners but we can all learn good manners! but when does confidence in one’s self begin? Is there an age for that? like…. 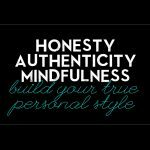 you’re a middleschooler and you lack confidence, even through your teen years.. what brings confidence? the first diploma, the first degree, the first car, the first house, the first child? the first… pair of jeans? Confidence, the way I see it, is always there. It’s the society who won’t less us free it and live by it. Some people never gain the confidence and they have no sense of style and they blindly follow the latest trend. It is a personal thing I think, there is no set time for when that will happen if it happens. Lack of it cannot just be blamed on society, that is just too pat and not necessarily the case.